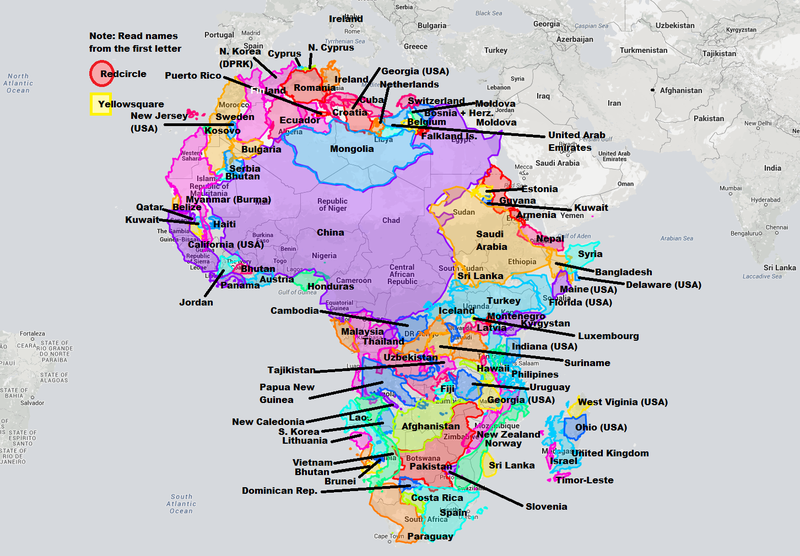 While it doesn’t look it, Africa is big, really big. In fact, Africa’s true size is 30 million square km, just under twice the size of Russia or bigger than Canada, the United States and China put together! As map nerds and/or West Wing fans already know, this is due to the common use of the Mercator projection, which makes countries near the poles look bigger and those at the equator look smaller. So for example while Greenland and Africa look about the same on a Mercator map, Africa is in fact 14X larger than Greenland in real life. You can learn more about various map projections here. The map was created using The True Size of, an awesome new tool that allows for quick and easy comparisons of countries true sizes. 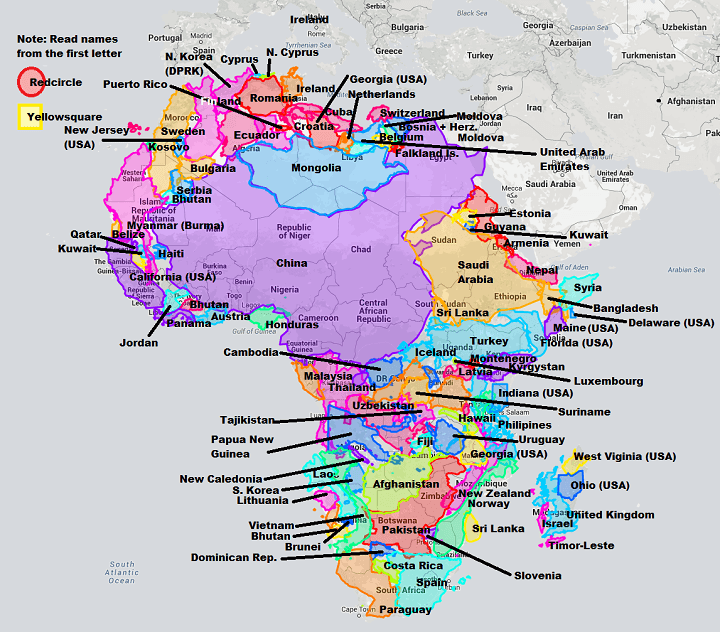 As you can clearly see, it would take a lot of countries and US states to fully fill Africa. However, in terms of population, China with 1.36 billion people, has larger population than the entire continent of Africa, which has roughly 1.11 billion. So if you added up all the countries listed here, you’d easily have more than twice Africa’s population.